SPENDING more money on your gaming peripherals does not equate to more skill. But it’ll definitely make you the envy of your squad. The best gaming peripherals usually command the highest price tags. But will a US$8,500 controller help you slay your enemies like an esports pro? 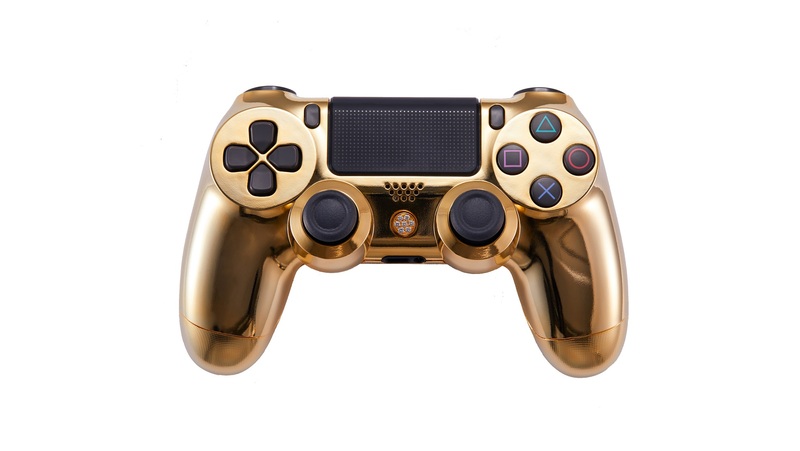 Luxury brand Brikk has lent their Midas touch to Sony’s Playstation 4 DualShock controller and coated it with 24K gold. To add on the bling, they’ve included options to embellish the buttons with diamonds of varying cuts. On the Classic version, the Playstation button is replaced with one made from 18K gold and studded with seven perfect diamonds totalling 0.25 carats. The Premium model ups the ante, replacing all the buttons with the solid 18K gold buttons that are studded with conflict-free diamonds that total 2.20 carats. That’s a total of nine blinged-out buttons that sets you apart from your gaming pals. For the billionaire gamer, there’s even a haute omni edition of the controller that boasts a staggering 16.60 carats of diamonds which will set you back an eye-watering US$64,995 for the most basic version. That’ll make for a very romantic alternative to a ring for all the gaming couples out there. Brikk doesn’t just want you to display the Luxe controller though—they want you to use it. On top of the gold coat, each controller will be protected by a triple layer of clear veneer to cushion it from all the vigorous button-mashing. If you think the gold is too excessive, Brikk also allows you to fully customise the controller. Want a black rhodium coat with titanium buttons? Or maybe you want to customise the height of the thumbsticks and disable vibration entirely. As long as you’re able to whip out the cheque book, they’ll deliver it to you in a posh aluminium and carbon fiber case. Will it help you aim better in games? Most likely not, as it’s still the same controller Sony sells, just with a different aesthetic. But it won’t hurt to lose in style. The Lux DualShock 4 Controller starts at US$8,495 (S$11,740), and delivery will take three to four weeks worldwide.